You know what’s great about running a small business? You’re the boss! What’s not so great? You’re probably working on a smaller budget than your competitors. That doesn’t mean you can’t take advantage of the same marketing techniques bigger businesses use. Take video production for example. 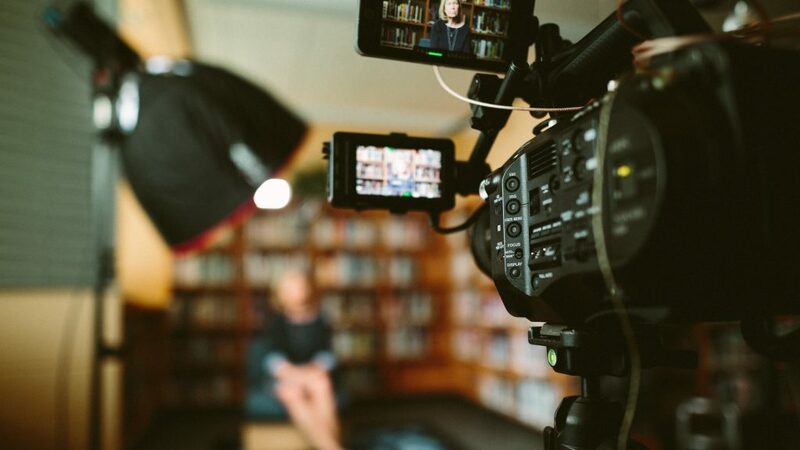 While a TV commercial may be a big financial commitment, there are plenty of other ways you can take advantage of video production that are just as effective. Why should make room in the budget for video production? Visual media garners more attention, gets more shares on social media, and is more engaging than text or print media. You also get a lot of bang for your buck; videos can be shared on different outlets like social media and your website and reused over time. Although many businesses do well with online or print marketing, if you can take your marketing to the next level, reach new audiences, and create an engaging message by incorporating small business video production into your strategy, why wouldn’t you? When you think of video marketing, you probably imagine a costly TV commercial, but there are different types of videos that you can incorporate into your marketing strategy that won’t break the bank. Whether you’re a new business or promoting a new product or service, introduce yourself to potential customers. Make sure to include the name of your business within the video, along with contact information and a brief description of your services. Including a welcome video on your home page is a great way to quickly engage and introduce visitors to your business. They are also great for establishing your brand or story. They don’t have to be complicated or elaborate to be effective. There may have been a time when aerial videography was out of reach for everyone except big budget studios, but those days are long gone; even small businesses can use aerial videos in their marketing. Aerial videography can be used for almost anything! It’s great for showing off large facilities, exhibiting beautiful landscapes, capturing event footage, and so much more! Using drones for aerial videography makes it more affordable than ever. Just make sure you’re working with a licensed drone operator! Want to welcome visitors to your business before they even step inside? Consider a tour video! Whether you’ve moved, remodeled, or you’re a brand-new business, creating a tour video of your building is a great way to introduce viewers to your business, show off your space, and get them excited for a visit! Get your team involved too; introduce your staff members in their workspaces in the video. This gives your video a personal touch and helps to begin forming a relationship with viewers. While air time is expensive, you can still create a high-quality commercial without the budget busting price tag. Instead of creating a commercial for television, create one to be shared online! Publishing videos online is free and there are plenty of outlets on which to share them, allowing you to get more mileage out of your video. Do you own a venue that hosts events? If you’re not advertising that with event videos, you’re missing out. Special events such as weddings, festivals, and concerts offer plenty of visual opportunities that can make for a stunning video. You can even incorporate aerial videography to get shots of large crowds. Have a unique idea for your marketing video? We can help! MLT Group has been providing small business video production for over 30 years and we’d love to help you with your project. Whether you need a licensed drone operator or post production help, we’ve got you covered. If you can imagine it, we can make it happen. For all of your small business video production needs, contact us at 507.281.3490 or sales@mltgroup.com and get your free quote today! SEO Question of the Day: Which Kind of Hits Does Google Analytics Track?